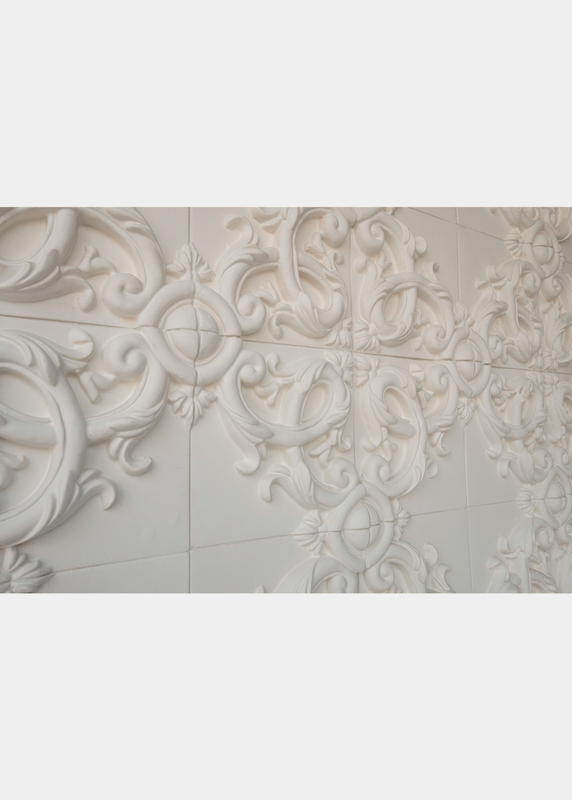 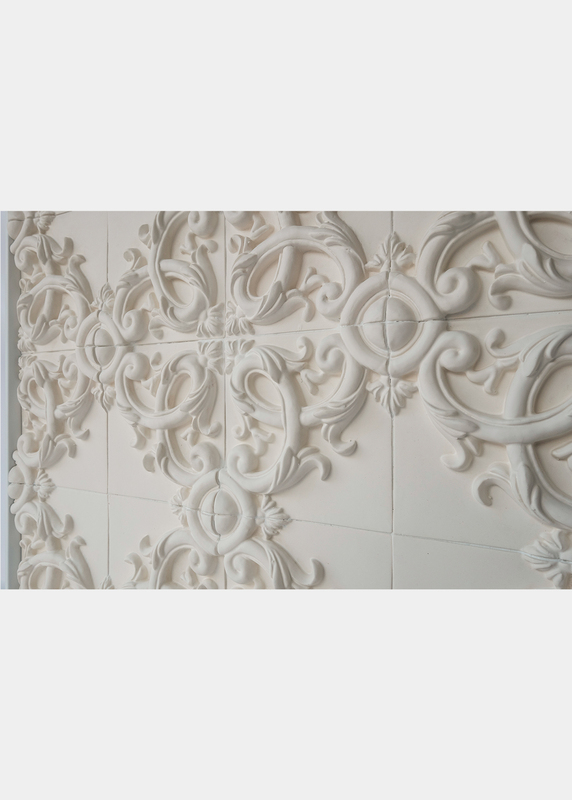 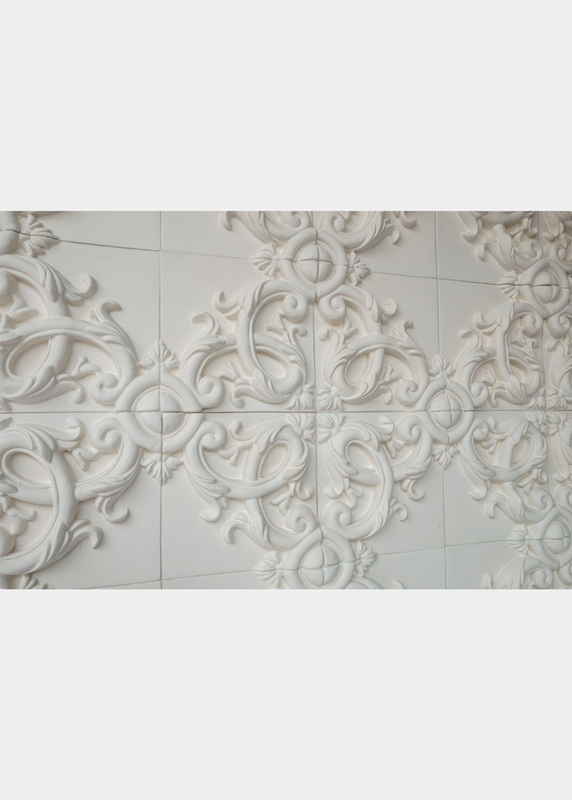 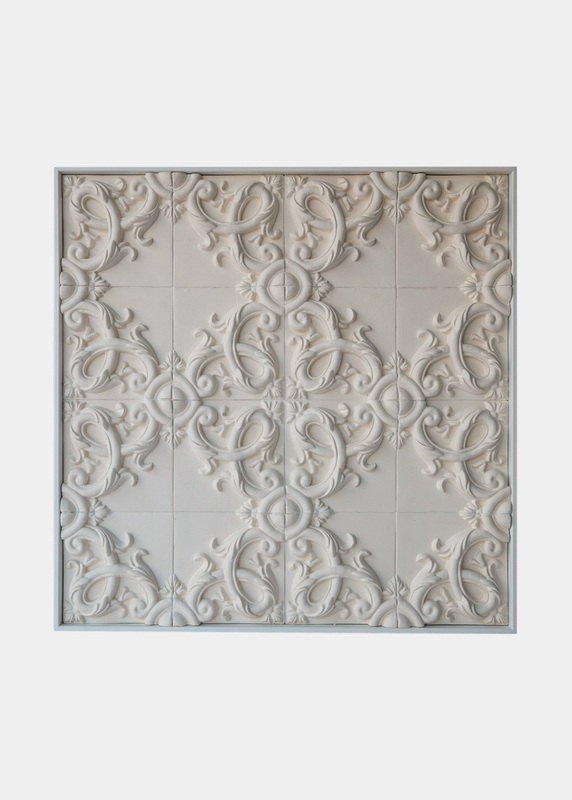 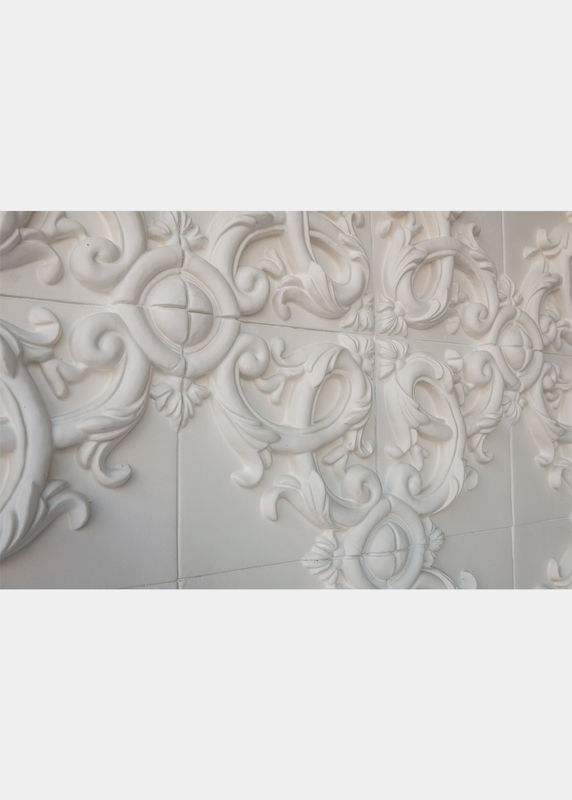 Tridimensional baroque ceramic with floreal decorations. 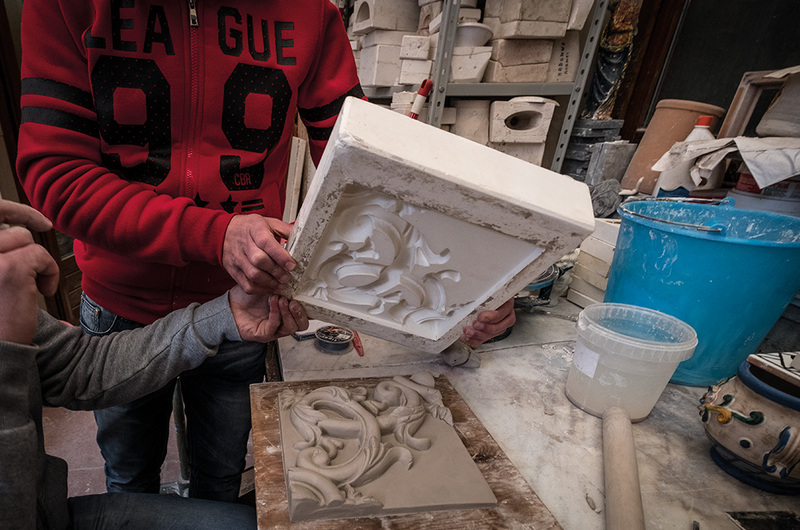 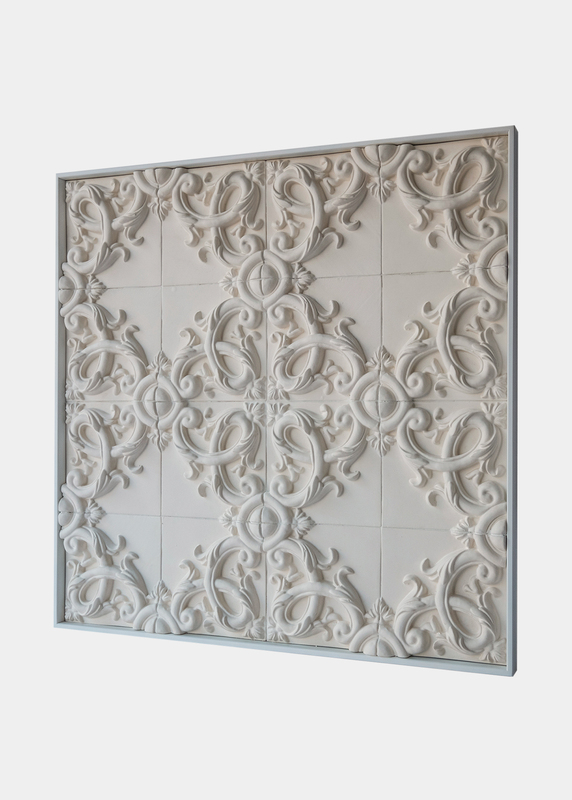 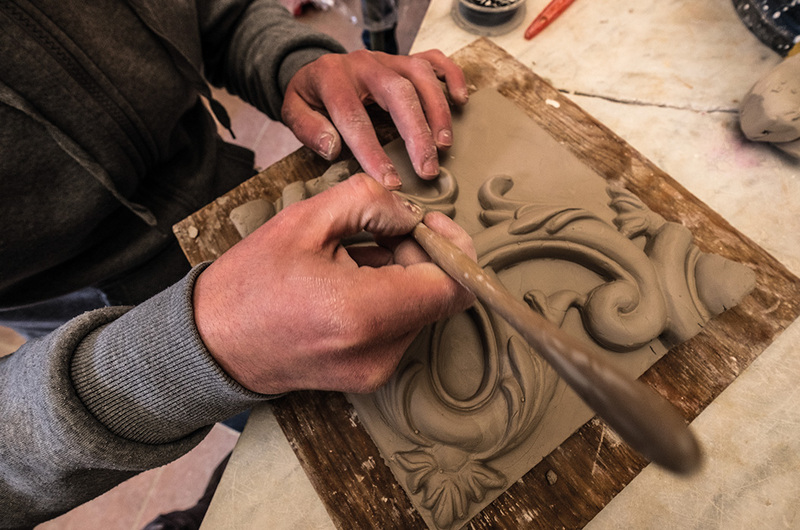 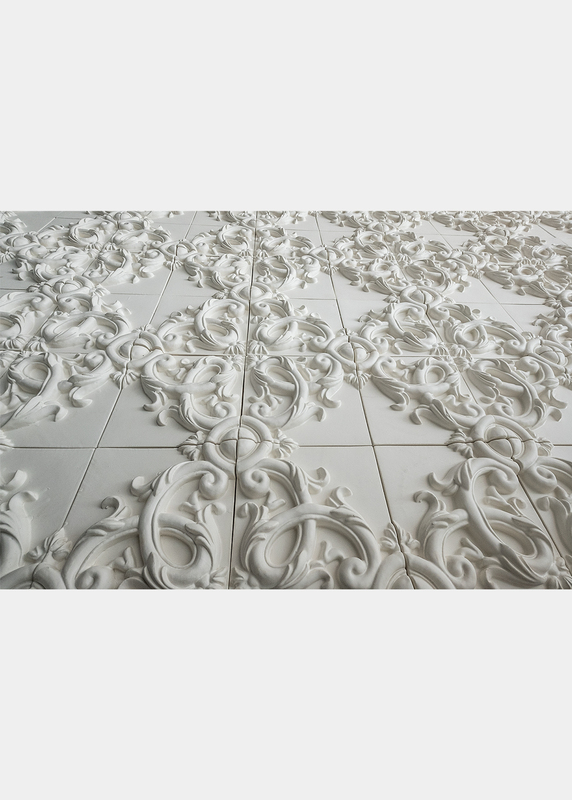 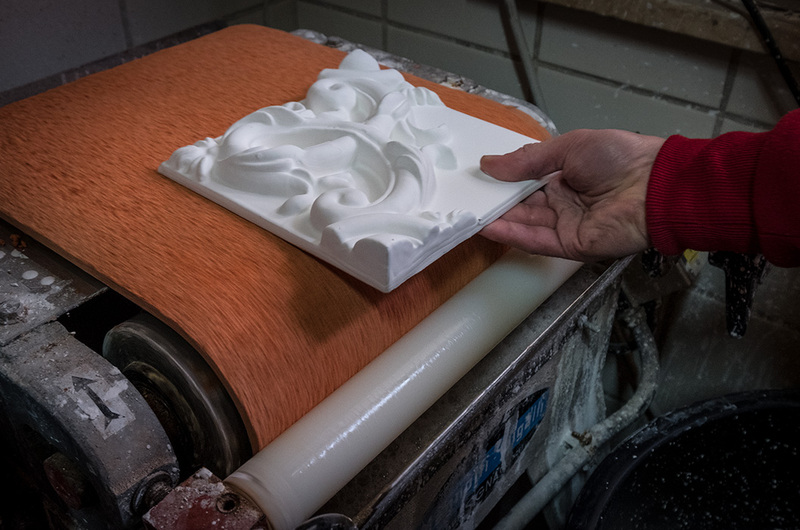 After an elaborate research, taking inspiration from the baroque history of the plaster casts of the cathedrals, of the illuminations, Acanto was born. 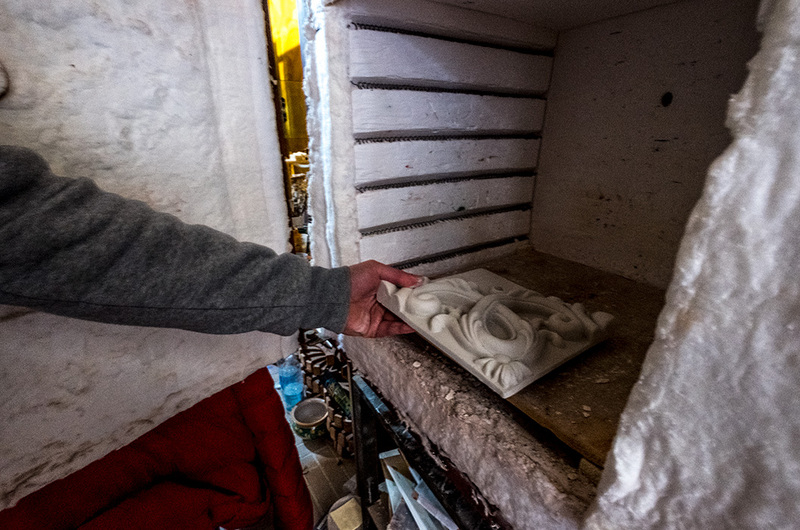 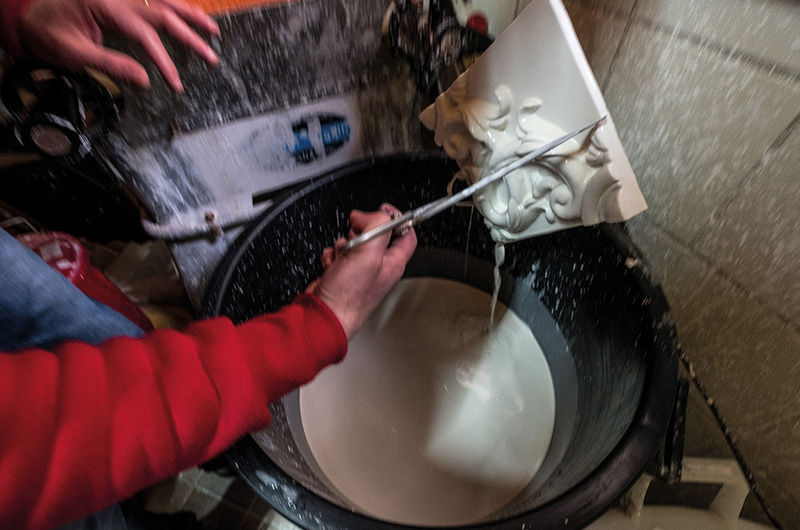 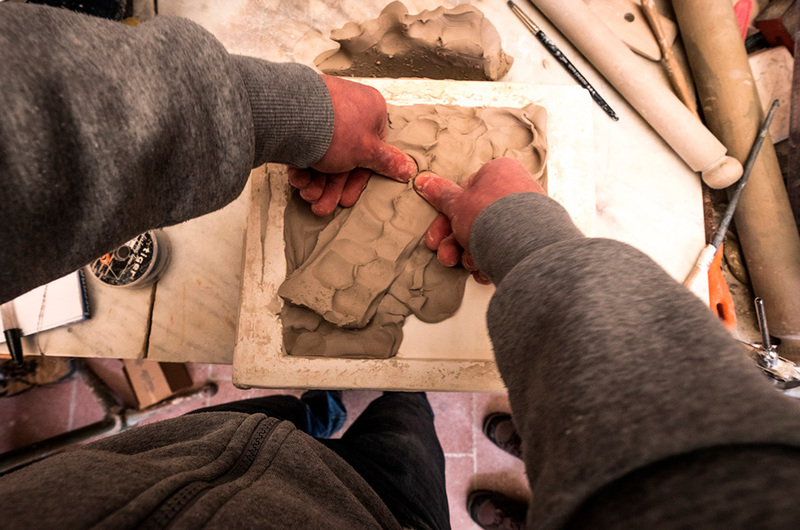 Monochrome majolica, turned, molded and enamelled by hand.The hands kneaded, shaped and dyed.